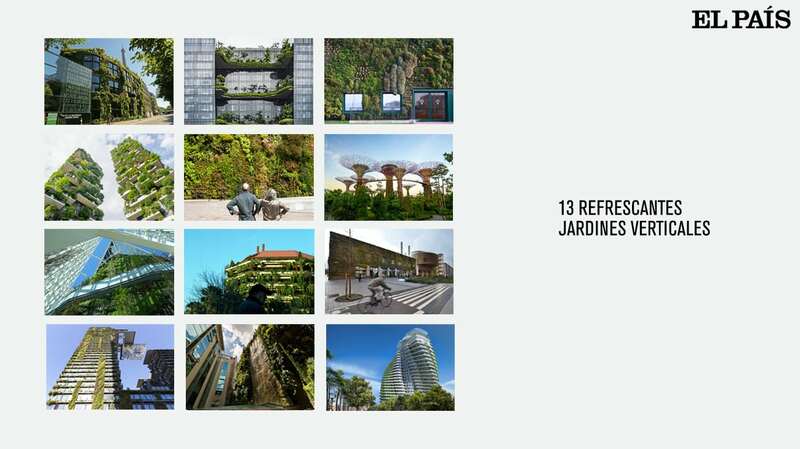 A selection of thirteen refreshing vertical gardens from Madrid to Singapur on the section El Viajero in El Pais: real green spaces which occupy facades, balconies and other structures inside the city. From the famous vertical gardens by Patrick Blanc in the Parisienne Museum Quai Branly designed by Jean Nouvel, dedicated to indigenous cultures and that seems to be sustained by leaves, to CaixaForum cultural center designed by Herzog & de Meuron in Madrid with one of the biggest vertical garden in Spain. In the last years living nature became an architectural fundamental element revolutioning cities with Urban Forestry, as if like with the Vertical Forest in Milan.